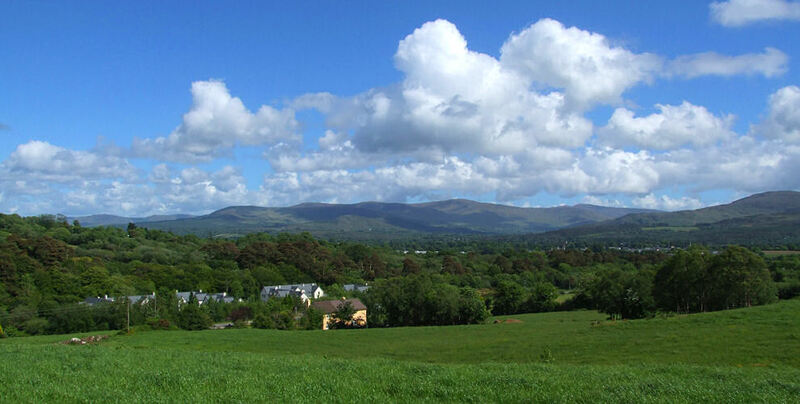 O'Sheas Ceol na hAbhann also run a 60 acre dairy farm adjacent to the Bed & Breakfast. For those of you feeling energetic why not get an early start and help John milk the cows or feed the calves. There is a historical ring fort situated on our farmland and will be of interest to all history lovers. This ring fort dates back to the 1300's AD and still provides the best views of Kenmare Town, Gortamullen Hill and the Caha Mountains and it is a great spot for a picnic.